Have excess candy from a holiday or special occasion that has you wondering what to do with leftover candy? Read on for several ideas! Have leftover candy that keeps calling your name? I know I can’t have an excess of candy around very long without eating far too much of it. 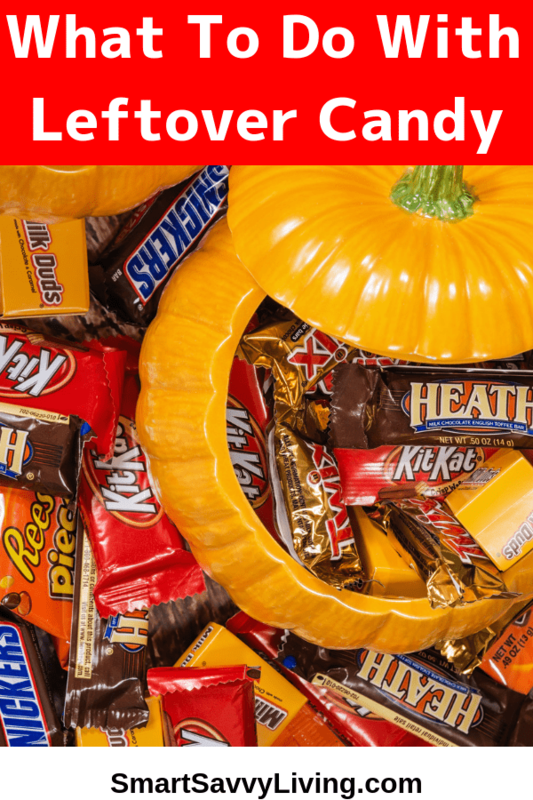 If you struggle with the same you’ll love these ideas for what to do with leftover candy from Halloween or when you find a great sale. 1. Use it in baked goods. I realize this is the “well, duh” item of the list but it’s a good one! 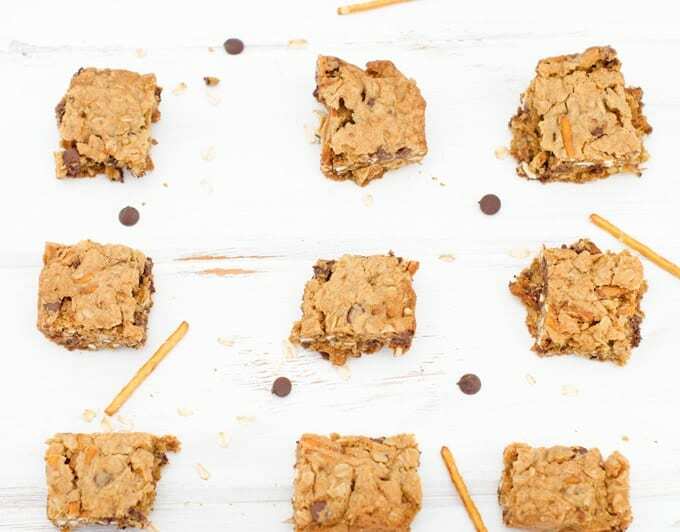 Chop up the bars and use them instead of chocolate chips in leftover Halloween candy recipes like our pumpkin chocolate chip blondies, oatmeal chocolate chip pretzel bars, chocolate chip banana muffins, or browned butter chocolate chip cookies. You can also take your basic brownie mix to the next level or make this easy chocolate mug cake even better by adding chocolate candies. Did you know that candy corn can even be turned into homemade Butterfingers? 2. Save it for the next holiday. Whether you’re wondering what to do with leftover Halloween candy or from some other holiday, the next holiday is probably not far away. Most candy has a rather lengthy expiration date (just check the bag) so it’s very likely it will still be good and delicious to use for the next holiday. Some ideas include saving leftover candy for stocking stuffers, to use in a homemade or reusable advent calendar (you can always make your own special occasion to count down to), and to decorate a gingerbread house. 3. Freeze it for later. Like I mentioned, most candy has a longer expiration than many realize. However, if you still don’t think you’ll use it all in time, a lot of candy can be frozen, especially chocolates. 4. 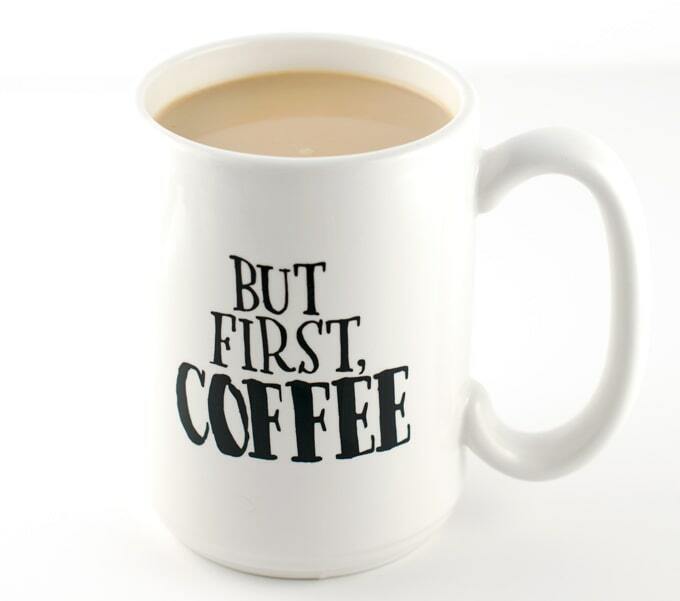 Flavor your coffee or hot chocolate with it. I honestly am not a huge fan of coffee, unless it’s flavored to not taste a whole heck of a lot like coffee. Adding a mini candy bar or two is perfect for this. I also love making hot chocolate extra decadent by adding a candy bar right in the drink or crumbled over some whipped cream on top. 5. Make your own pinata. This is a fun idea to surprise the kids with just because or to use at a birthday party. 6. Make a unique candy bark. It’s not weird to use leftover candy to make more candy, right? If it is, I’m more than happy to be weird! Simply melt your favorite type of chocolate – milk, white, or dark chocolate – spread out thin on a baking sheet lined with parchment paper or a silpat baking mat, then pile on as much leftover candy as you want. Let it harden at room temperature or more quickly by placing in the fridge or freezer. Turn it out onto your countertop and break into pieces to enjoy. 7. Make a trail mix. If you love snacking as I do then one of your most favorite things ever is a good trail mix. It’s one of the easiest things to make homemade and you don’t even have to cook anything. In a large bowl place ingredients like pretzels, peanuts, seeds (a great way to use leftover pumpkin seeds), nuts, dried coconut, granola clusters, etc. Then add in small candies or chopped up bars and toss everything together. 8. Chop it up as a topping or mix-in. Take our no-churn vanilla ice cream from a bit boring to amazing by mixing in your favorite leftover candy. Chopped up candies also make a great topping for chocolate covered pretzels, apples, and even bacon. You can even make breakfast extra fun by stirring into pancake batter – replacing the blueberries in our buttermilk pancakes recipe. 9. Take it to work. One of my favorite ways to get rid of treats I know I’m at risk of overindulging in is to send them to work with Mr. Savvy. 10. Donate it. Want to do some good with your excess candy? Consider donating it. Some places you might want to donate leftover Halloween candy to include your doctor’s office or hospitals such as nurses on a floor that have done a lot for your family or the pediatrics wing. If you have a veterinarian’s office that you love, donating your extra candy to them can be a nice way to say thank you. Homeless shelters are another good idea along with good causes like Operation Shoebox who send out boxes with various items, including candy, to our troops around the world.